Stefan Struve decided to show off his latest battle scare to his followers on his official Instagram account. It’s one thing for a fighter to get a lip cut but it’s another situation that Struve is dealing with as his cut is nasty but the fighter in him is pressing on and did so in his latest fight as seen on the main card of UFC Hamburg (also known as UFC Fight Night 134) that took place on Sunday, July 22, 2018 at Barclaycard Arena in Hamburg, Germany where Struve suffered a unanimous decision loss in a heavyweight showdown to Marcin Tybura. 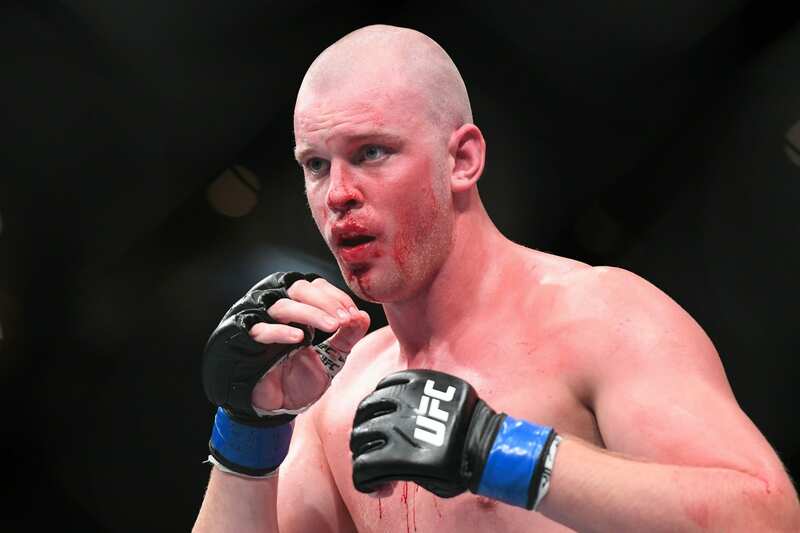 Although this wasn’t Struve’s greatest performance, Tybura was the one who stole the spotlight from this fight as he showed off his wrestling that got his hand raised as a result of it and even busted up the longtime heavyweight star to the point where he had a large cut below his mouth. Thanks for the love as always, time to clear my head for a bit and focus on other things for a while. Make the most of this life, far as we know we only get to do it once! Surround yourself with good people that truly care for you and enjoy this ride! Time for a beer for my 2 mouths ? #loveyall BTW you are looking at my tongue sticking through ? 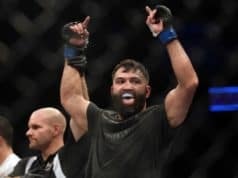 As a result of this loss, it will be interesting to see where the heavyweight star goes next as he is currently on a three fight losing streak that includes defeats to Alexander Volkov by TKO last September, Andrei Arlovski by unanimous decision at the UFC 222 pay-per-view event earlier this year and now to Tybura. Also, there’s no word yet on when he expects to fight once again inside of the Octagon under the UFC banner.